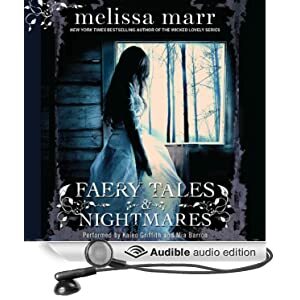 Dangerous promises and beguiling threats swirl together in a dozen stories of enchantments, dark and light, by New York Times best-selling author Melissa Marr. Uncanny and unexpected creatures appear from behind bushes, rise from under the seas, or manifest from seasonal storms to pursue the objects of their attention—with amorous or sinister intent—relentlessly. From the gentle tones of a story-teller’s cadences to the terror of a blood sacrifice, tales of favorite characters from Marr’s Wicked Lovely novels mix with accounts of new characters for listeners to fall in love with... or to fear. There are two different readers for these stories, and I liked them both. Mia Barron did the majority of the reading, especially the stories told from a female point of view. 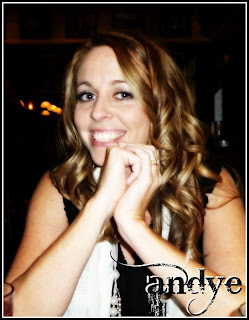 She was perfect! On Twitter, Melissa Marr actually said that she picked the readers herself, and she did a fantastic job! In the book description, it says this book is "lush, seductive, and chilling" and I think Mia helped that come across. I wouldn't say she sounds like a teenage girl, which I know bothers some, but it didn't matter to me at all. Kaleo Griffin did a great job with the male point of view stories as well. He read a lot of the stories that were set in the Wicked Lovely world. Again, he didn't sound like a teen, but I thought his voice fit, especially for Niall and Irial. The only voice he did that I didn't care for was Devlin's. I thought he made him sound kind-of nasal and sniveling, and I LOVE Devlin, so....I didn't like that one. But otherwise, great! If you'd like to hear a sample, you can check it out here. If you are a fan of Wicked Lovely, this is definitely a book you do NOT want to miss. There is SO MUCH in here about our favorite characters from the series. If you listen to audiobooks at all, I'd absolutely recommend this one on audio. I think it really adds an extra layer of lushishness to this book! property dies and it is near and dear ones don't know what to do from it. talk were gagged, while others were severely punished.